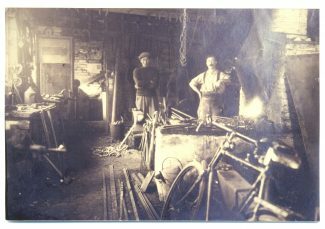 Michael Walsh’s grandfather was Henry ‘Harry’ Thurgood who owned the Blacksmith’s that stood slightly uphill from The Hoy and Helmet Public House in the High Street. The picture shows the inside of the forge with Harry on the right and Fred Taylor on the left. Michael says that Fred married one of Harry’s daughters, Lillian and they had three sons. Harry Thurgood had four daughters (Winifred, Lillian, Dorothy (Michael’s mother) and Florence. They all lived at 9 Essex Way, part of a terrace of cottages (numbered 8 to 11) on the right hand side going from the War Memorial. All four girls went to the Benfleet National School in School Lane. Dorothy married Conan Walter Walsh in St Mary’s Church in 1946 and Michael was born in 1947 followed by two brothers. 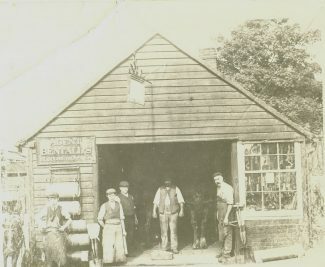 The photograph of the front of the Smithy is shown. When it closed down it became two small shops – one run by Mr Palmer selling electrical goods and services and the other by a Mrs Sewell (I think this was her name) selling knitting wool. I remember going there with my mother and Mrs Sewell would put the wool by for you if you couldn’t afford it all at once or were unsure how much you needed! 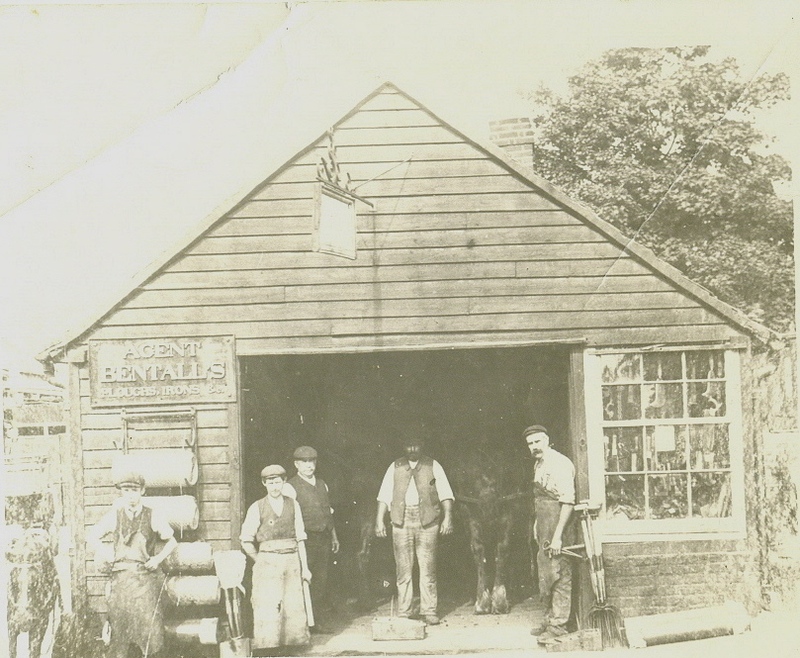 The building was demolished in the early sixties as part of the road widening scheme. It is now the entrance to the Hoy and Helmet’s car park. 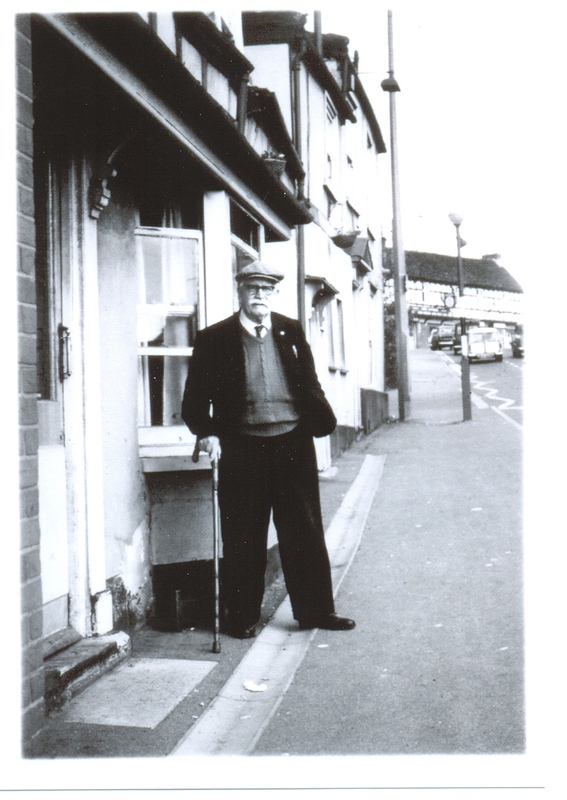 Finally the photograph is of Michael’s grandfather, ‘Harry’ Thurgood. He and his wife are buried in St. Mary’s churchyard.